Sudanese President Omar Al-Bashir announced during a visit to the United Arab Emirates that Sudan is offering to coordinate with the UAE to control the security situation in Libya, the Sudan Tribune reported on Monday. Al-Bashir did not give further details about the plans for cooperation. The paper reported that Al-Bashir stressed the need to address the security vacuum in Libya by “forming national army and police”, and offered Sudanese help in providing training to form these institutions. Al-Bashir said that rebels should be incorporated into these bodies after they are formed. Al-Bashir also stated during an interview with Al-Etihad newspaper that a joint Sudanese-Libyan border force was established, adding that the Sudanese government is working with all concerned parties to put an end to the crisis in Libya. 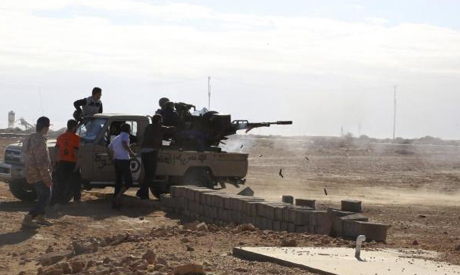 Sudan has been accused of supporting Libya Dawn, which is a coalition of Islamist-led militias who have controlled Tripoli and a number of western areas in Libya since August 2014. In September, Libya's internationally recognised prime minister, Abdallah Al-Thinni, said that Sudan had attempted to airlift weapons and ammunition to Libya Dawn in Tripoli. Khartoum denied the allegations and stated that the weapons were for the joint border force. Libyan general Khalifa Haftar has also accused Sudan of supporting Islamist group Ansar al-Sharia, who are fighting Haftar’s pro-government forces in Benghazi. Since the 2011 toppling of longtime dictator Muammar Gaddafi, rival militias have been battling for power. An internationally-recognised government led by Al-Thinni is located in the eastern city of Tobruk. A rival Islamist-led government headed by Omar El-Hassi is headquartered in the capital Tripoli. Islamic State-affiliated groups are operative in different parts of the country. Last year, troops led by Gaddafi-era general Khalifa Haftar regained control of the eastern city of Benghazi from Islamist militias.